As a native to the Pacific Northwest, Victor has been climbing in the Cascades for over 10 years. 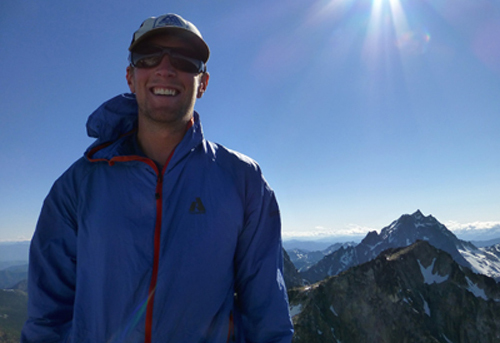 He enjoys all forms of climbing, backcountry skiing and spending time in the mountains. Victor calls NE Oregon home and lives in La Grande with his amazing wife Kelly and their two golden retrievers Luna and Sadie. When not guiding for Alpine Ascents, Victor is the Executive Director of the Wallowa Avalanche Center and spends countless hours digging in the snow each winter to keep backcountry travelers safe. Most recently, Victor and Kelly traveled to the Cordillera Blanca “White Range” of Peru for mountain climbing, trekking, and riding motorcycles and mountain bikes.